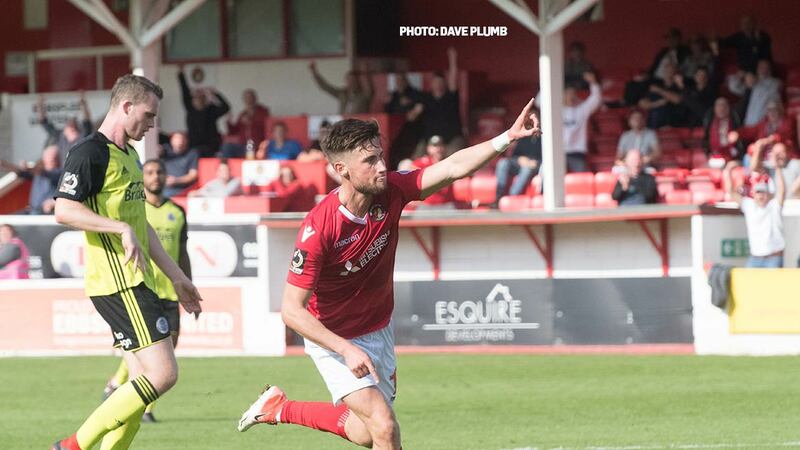 The Fleet triumphed in a league game at home against Aldershot for the first time since our promotion season of 2001/02 – and promptly moved into the play-off positions as a result. 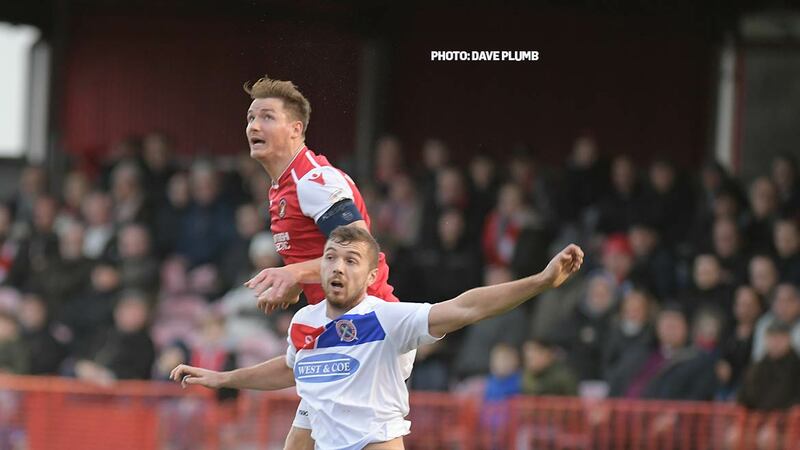 Having to come back from the disappointment of an early goal, Fleet found their shooting boots at home and scored three times in successive weeks. Daryl McMahon made one change, Dean Rance starting his first game of the season at the expense of Jack Powell. The Shots were missing Shamir Fenelon, George Fowler and Regan Booty from their previous game, and stand-in skipper Scott Rendell was relegated to the bench. The Shots started well and after winning a corner inside the first few minutes, McMahon was already roaring at his defence from the sidelines. He likely would have raised the volume further on seven minutes when Aldershot went in front. Winger Luke Wanadio held play up before slinging a great cross into the box and Matt McClure was allowed to get over the ball and pick his spot past an unguarded Nathan Ashmore. Although Fleet attempted to conjure an instant reply when Sean Shields cut inside but saw an effort blocked by Luke Howell, the home side looked unsettled whenever the Shots delivered the ball into the box. Dan Holman pushed Andy Drury in the air to fashion a chance 12 yards out and his shot struck the post but he was penalised for use of a hand in controlling the ball. Jack King had a header on target pushed away by Jake Cole in what was the first of a series of excellent saves by the Shots goalkeeper before Wanadio was grateful to accept some generous Fleet defending to get two crosses into the box, but his second was overhit and flew high. Fleet began to seize a little more control from the 20-minute point, a tweak to the formation with Myles Weston joining Shields on the left and Sam Magri switching across to the right paying dividends.. Danny Kedwell’s back header to Ebou Adams was swiftly switched wide to Corey Whitely who broke through on goal only to fire his shot high. On 26 minutes, a decent passage of play saw a ball out to Drury. He turned inside and teed up a shot that Cole did ever so well to stop with one hand and as the Fleet pressed home their attack, Cole was again on hand to dive at Whitely’s feet. 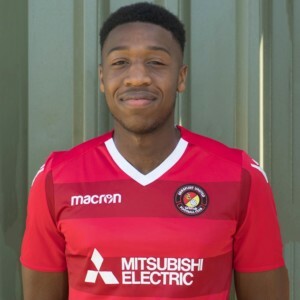 Aldershot continued to threaten, however, and Dave Winfield threw himself across the box to deny McClure’s shot but the clearance was mopped up by Wanadio who almost squeezed a shot past Ashmore at his near post. Fleet should have equalised on 34 minutes when a clever back-heel by Whitely allowed Shields some space and as he got his shot away, a defender managed to turn it behind for a corner. The goal they deserved arrived two minutes later, although goalkeeper Cole almost prevented that one too. Magri’s cross from the right was fired goalwards by a quick-thinking Adams. Cole flung himself at that one to save the Shots but Kedwell mopped up, scooped the ball back across goal and Cole seemed to get another touch before Shields was able to force it home with his head for the equaliser. In an open and entertaining half, it was little surprise to see Aldershot come storming back and Ashmore had to make a fine save with his trailing hand to push Wanadio’s pacy shot away from the top corner. But anything Ashmore could do, Cole could as well and he made another decent save five minutes before the break when Winfield’s downward header from Magri’s cross bounced towards the target. Fleet took control of the second half from the whistle and Kedwell was through on goal almost immediately but his run was checked by Dominic Bernard. With the second period threatening to be as high-tempo as the first, play then switched to the other end where Holman sent an effort high over the bar from a good shooting position inside the Fleet box. Shields was then next up for the Fleet with a run and shot that Cole saved low in his six-yard box and Adams had to stretch for the rebound, leaving himself with too much to do to get it back on target. 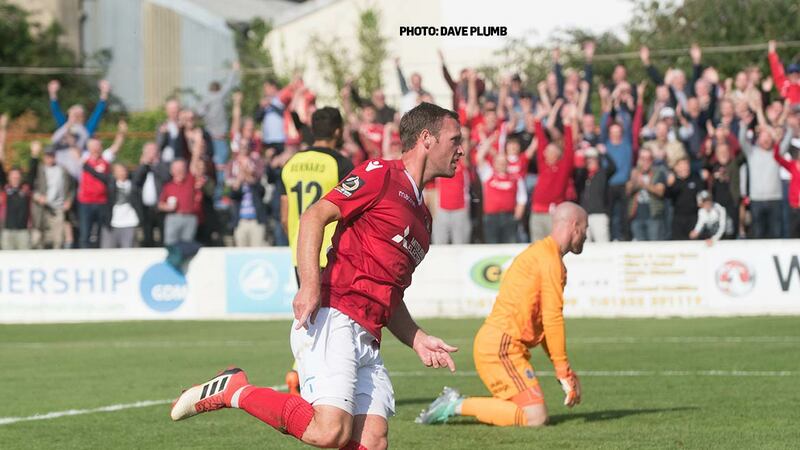 The red shirts began to enjoy far more possession and a succession of passes in the final third threatened the Aldershot back line but just didn’t quite come off. Whitely, who had chased and harried everything but without the rub of the green, was replaced by Luke Coulson on 64 minutes. But Fleet’s first job after that was to defend when King made an excellent saving tackle as Shots substitute Rendell trapped a high delivery and bore down on goal. But that was Aldershot’s last chance to spring a surprise and on 72 minutes, Coulson found Adams who slipped a quick pass wide to Magri. Overriding Kedwell who looked set to take the ball on, Magri advanced and sent a cross into a crowded box where Drury arrived and managed to steer the ball into the corner and away from Cole as he slid in and Fleet were in the lead. The goal galvanised the home side further and they could have added more to their advantage. 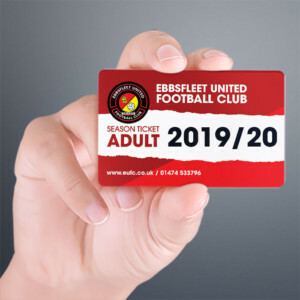 Adams, exhausted after a powerful box to box performance, left the field on 78 minutes for Chris Bush but that didn’t stop Fleet’s forward flow – it merely released Weston to do some damage down the left. Magri and Coulson broke down the right and found Shields whose low cross was hacked away before the goalscorer grabbed his second of the game. That came via a lightning-quick counterattack on 82 minutes, Coulson spotting the run of Weston and delivering a long-range pass to his feet. Weston sped away and shot low, which was again saved well by Cole, but Shields sprinted in and gobbled up the loose ball, despatching a precise ball from the edge of the box into the corner. A similar move by Weston to Coulson this time could have been four, but the Fleet substitute couldn’t quite bring the pass under control and the Shots cleared. Weston again then turned supplier for substitute Michael Cheek and although his shot was on target, Cole again saved the day. Aldershot might have reduced the arrears as the 90 minutes ebbed away, Winfield losing possession to Jacob Berkeley-Agyepong and though his shot beat Ashmore it crashed off the underside of the bar to protect Fleet’s two-goal cushion. 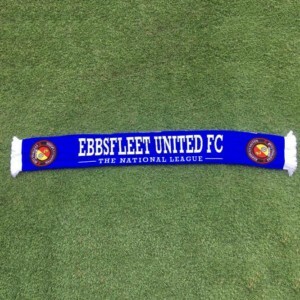 EUFC: Ashmore, King, Magri, Winfield, Rance, Drury, Weston, Adams (Bush 78), Whitely (Coulson 64), Shields, Kedwell (Cheek 84). Subs not used: Powell, McQueen. 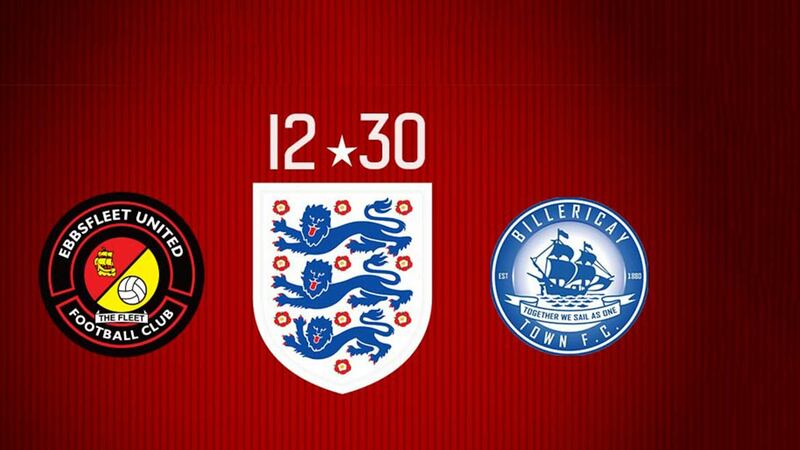 ATFC: Cole, Bernard, Smith, Kinsella (Rowe 77), Lelan, McDonnell, Gallagher, Wanadio, Howell, McClure (Berkeley-Agyepong 58), Holman (Rendell 58). Sub not used: Oualah. Proven, physical, technical… and a goalscorer!